Make a style statement with the sumptuous Lyddington Freestanding Acrylic Bath from Heritage. 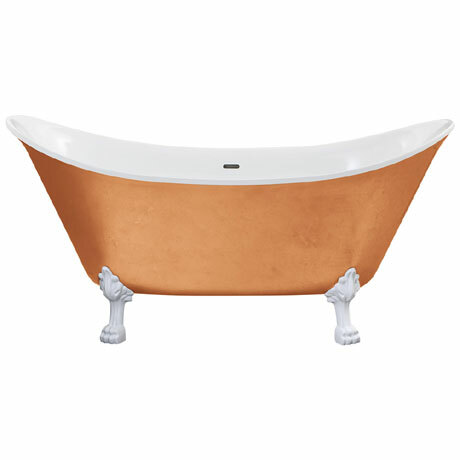 Its eye-catching metallic effect finish will make this stunning bath the centrepiece of your bathroom. Available in Copper, Stainless Steel and Gold effect finishes. Comes complete with a chrome clicker waste and overflow and classic white lion feet. For peace of mind this bath comes with a lifetime guarantee against manufacturing defects.